The Hotel Balear is located in Ca’n Pastilla, in the heart of Playa de Palma, with an unbeatable location that facilitates access to the other main cities of the island. Our location, only 100 meters from the beach, with public transport to downtown Palma every 10 minutes and only 5 minutes from the airport, makes our hotel the perfect choice for both business travelers and tourists. The Hotel Balear is a family-run establishment, open all year round, allowing us to give personalized attention to our clients. 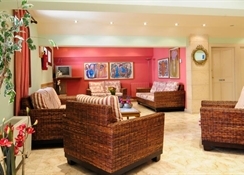 The Hotel Balear was recently remodeled in 2009 to enhance the comfort of our guests. Our rooms are equipped with both Wi-Fi and cable Internet, a free service. Farmer’s market with local produce and other products every Tuesday and Thursday morning in front of the hotel. 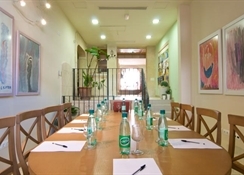 Built in 1964, this hotel was renovated in 2009 and offers a total of 54 rooms over 5 floors. 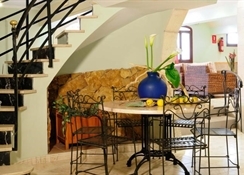 This total includes 38 double rooms 8 triple rooms and 8 suites. Our double rooms are spacious and they are equipped with a double bed or with two single beds that can be joined. All rooms have a terrace and, on the fourth floor, we have several rooms with a very large terrace, perfect for bathing in the Majorcan sun. All rooms are equipped with bathroom with a shower or bathtub, television, air conditioning (hot-cold), central heating and safety deposit box. 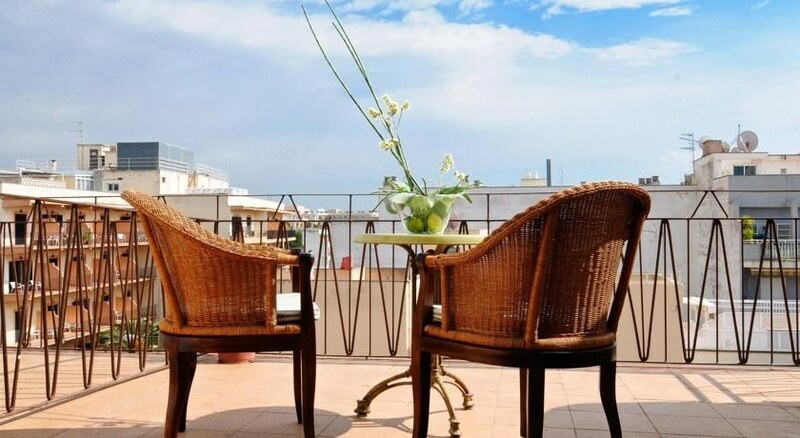 The majority of our rooms have a terrace overlooking the plaza or sea. All rooms offer free Internet access via Wi-Fi and cable for guests with laptops. Our triple rooms are equipped with three single beds and are ideal for a family or for three friends. The beds are not extra beds and these rooms are larger than our double rooms. Our suites are, in reality, two adjoining rooms which share a bathroom. One of the rooms can be used as a small sitting room or it can be equipped with two single beds. Suites are ideal for a family, for four friends or for those looking for additional space. From the airport, enter the freeway, Autovía de Levante, and follow the indications towards Santanyí. Take the first exit off the freeway, number 8 – ‘Playa de Palma/Ca’n Pastilla’, and turn right at the stop sign onto calle Tramuntana. Continue straight passing up 2 possible left-hand turns and then turn left on Avenida Central. Go straight until you get to the main street “Avenida Bartolomé Riutort” where you will take a left. Continue until you arrive to the town square. The hotel will be on your right opposite the square. From the airport, taxis leave from outside of the arrivals floor. The fare is typically between 12€ and 15€ and the ride lasts about 5 minutes. From the airport take bus line 21, towards Ca’n Pastilla and get off at the Bartomeu Riutort 16 (Ca’n Pastilla Plaza) stop at the corner of the hotel. Estimated time: 10 minutes. From the port, take the Paseo Marítimo to the freeway towards Santanyí, take Cala Estancia – Aeropuerto exit (7A) and take a left on the main street, calle Ca’n Pastilla. Continue straight approximately 1 kilometer and you will find our hotel is on the right side of the street in front of the town square. From the Port of Palma, take bus line 1 to Alexandre Rosselló 5 and then change to the line 15 which will take you to Ca’n Pastilla. The bus stops at the corner of the hotel at the stop called ‘Bartomeu Riutort 16 (Ca’n Pastilla Plaza)’. Estimated time: 40 minutes.